I am having a rather stressful week and feeling like everything is against me. Clothes seem to be my only friend lately, putting outfits together and playing with my wardrobe is the only time I don't feel stressed or bitter. Hopefully this gloomy phase will go away soon especially when my birthday is exactly a week from today! It was very hot over the weekend so I pulled together a casual chic look for a day out in the sun. This vintage floral maxi dress from Shred Threads is amazing. Not only does it have a flattering fit, it also has an unique high neckline and cut that shows off a little bit more shoulders. I am a sucker for mixing and matching so I paired it with these lovely striped sandals from my sponsor Shellys. Generally, I am not too crazy about sandals but these are perfect! When I am out running around it's nice to have a large enough bag to hold all my things including my camera and a bottle of water. The Bailey bag from my sponsor Melie Bianco certainly does the job! 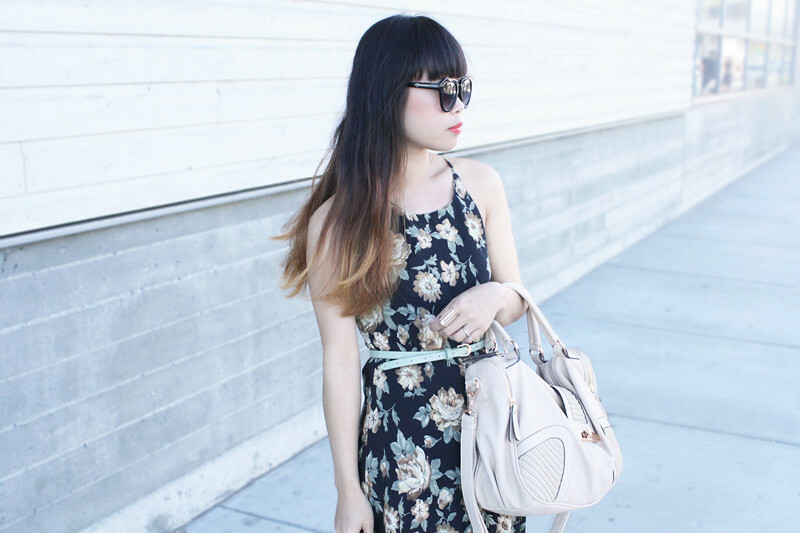 Vintage floral maxi dress by PJLA c/o Shred Threads. 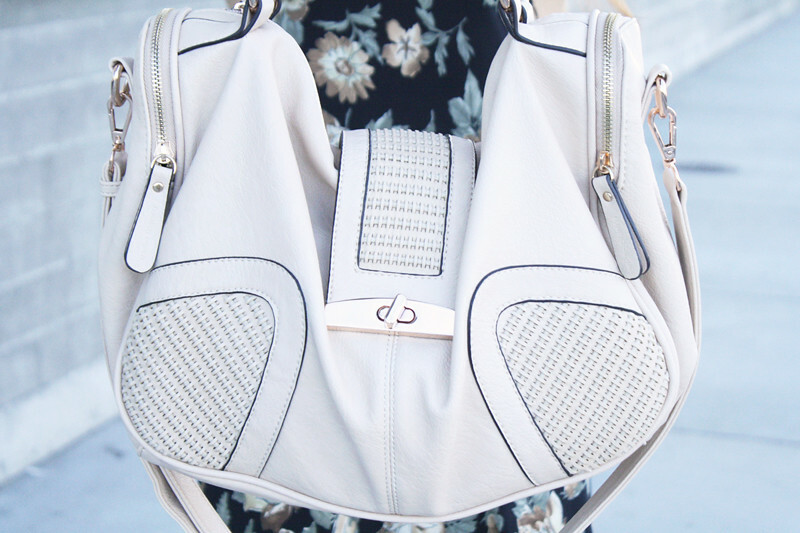 Bailey bag c/o Melie Bianco. Mandy striped sandals c/o Shellys. Ooo! That dress is just so pretty - it looks so fantastic on you! Perfect for summer! psst ... btw i'm having a giveaway for designer petite jeans that would look great on you! Gorgeous! Very inspirational outfit! Love how you combined those striped sandals with the flower print dress! I like your summery header, too! Very pretty.